Vineyard elevation: 270 m a.s.l. Grown organically without the use of pesticides, the grapes are treated when necessary with limited quantities of copper and sulphur and fed with organic substances. Picking time:first week of October, at ideal phenolic maturity. Picking method:the grapes are always hand-picked, very early in the morning when it is still dark and the grapes are still cool from the night, which is the perfect temperature for picking. The destemmed grapes are lightly pressed. Spontaneous fermentation(without using selected yeasts) at controlled temperature and 10 days on the skins. Pumping over and punching downoperations are performed during the maceration on the skins in order to extract as much aroma as possible. The wine is then racked with a very soft pressing of the marc to avoid overly aggressive extraction. The wine is then decanted to remove the heavier lees and part of it is transferred into 2nd-fill French oak barrelsfor around four months. Malolactic fermentation occurs spontaneously after racking. Sight:wine is clear with a bright and intense ruby red colour. Smell:very fragrant, with marked complex fruity aroma. 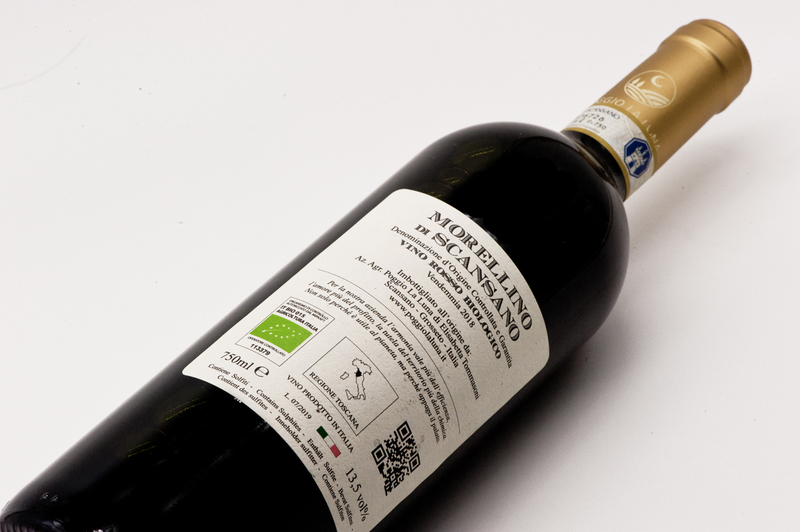 Acomplexity played between the sour-sweet notes of the fruit and floral, balsamic and spicy notes; markedaromas. tannins and alcohol, that are integrated to make the wine very pleasant. Fruity imprint, between raspberry and cherry with sapidity; excellent persistence. A wine you can enjoythroughout a meal, it pairs perfectly with typical Maremmacuisinewith its rich savoury flavours. The wine can also be served with a range of starters(such as local cold cuts or Tuscan crostini made with chicken liver) or meat ragoutpasta. With its intense, full-bodied flavour it goes perfectly with red meatsand roasts and braised meatsin particular, as well as barbecued meats and stews. It is also excellent with game such as wild boar, pheasant and hare. A classic pairing is with tasty hare pappardelle. Best glass to use: A large round balloon glasswill bring out its aromas and flavours.